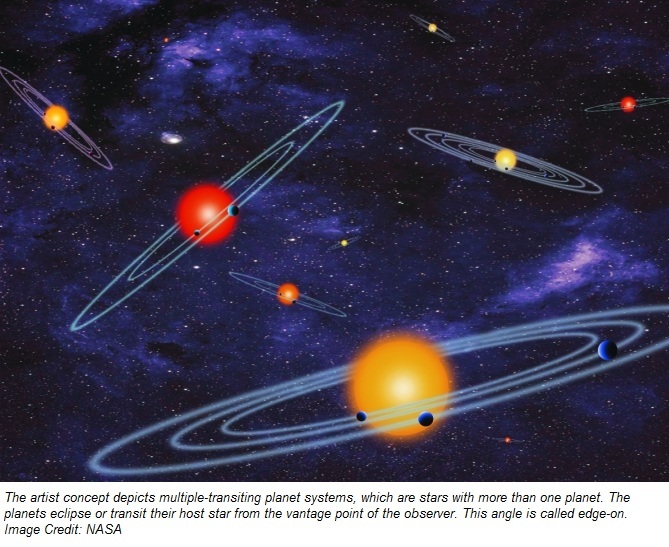 NASA’s Kepler mission announced Wednesday, Feb 26, 2013 the discovery of 715 new planets. These newly-verified worlds orbit 305 stars, revealing multiple-planet systems much like our own solar system. One of these new habitable zone planets, called Kepler-296f, orbits a star half the size and 5 percent as bright as our sun. Kepler-296f is twice the size of Earth, but scientists do not know whether the planet is a gaseous world, with a thick hydrogen-helium envelope, or it is a water world surrounded by a deep ocean.